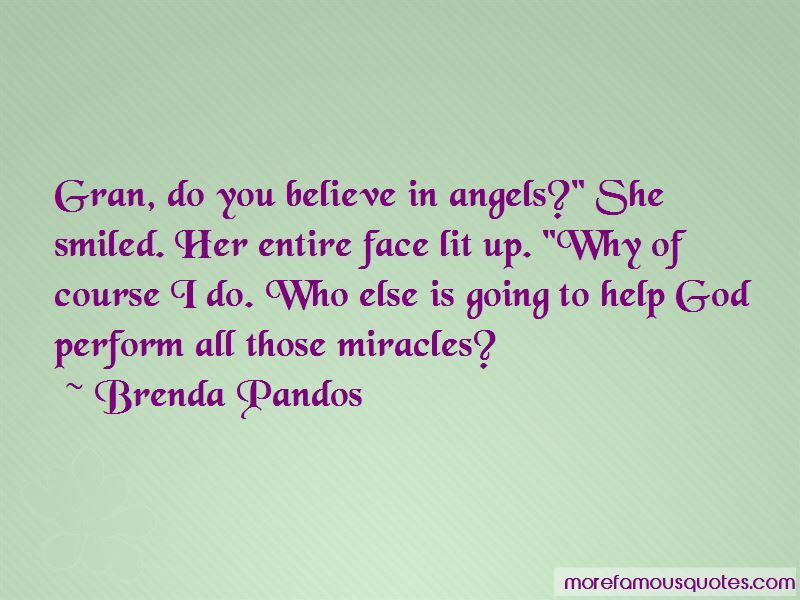 Enjoy reading and share 48 famous quotes about God Do Miracles with everyone. “Paul Edgecomb: What do you want me to do John? I'll do it. You want me to let you walk out of here and see how far you get? John Coffey: Now why would you want to do a foolish thing like that? 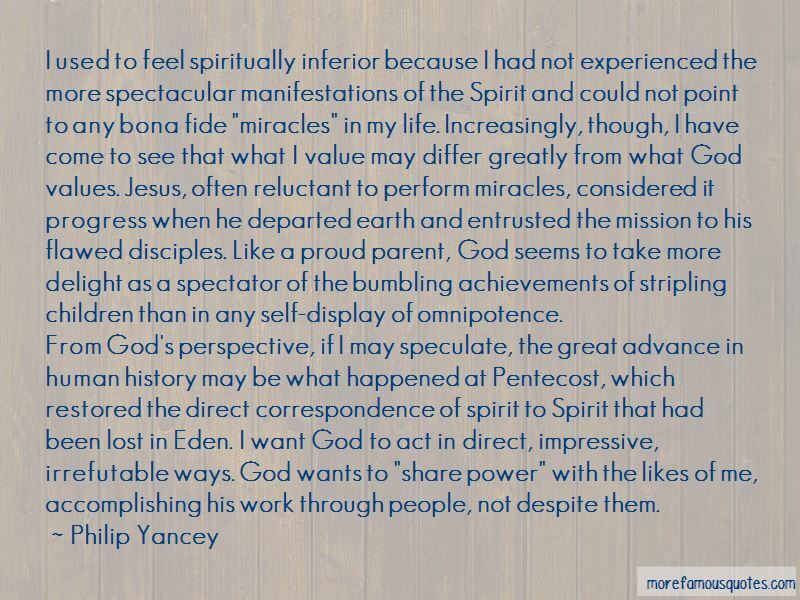 “I used to feel spiritually inferior because I had not experienced the more spectacular manifestations of the Spirit and could not point to any bona fide "miracles" in my life. Increasingly, though, I have come to see that what I value may differ greatly from what God values. Jesus, often reluctant to perform miracles, considered it progress when he departed earth and entrusted the mission to his flawed disciples. Like a proud parent, God seems to take more delight as a spectator of the bumbling achievements of stripling children than in any self-display of omnipotence. 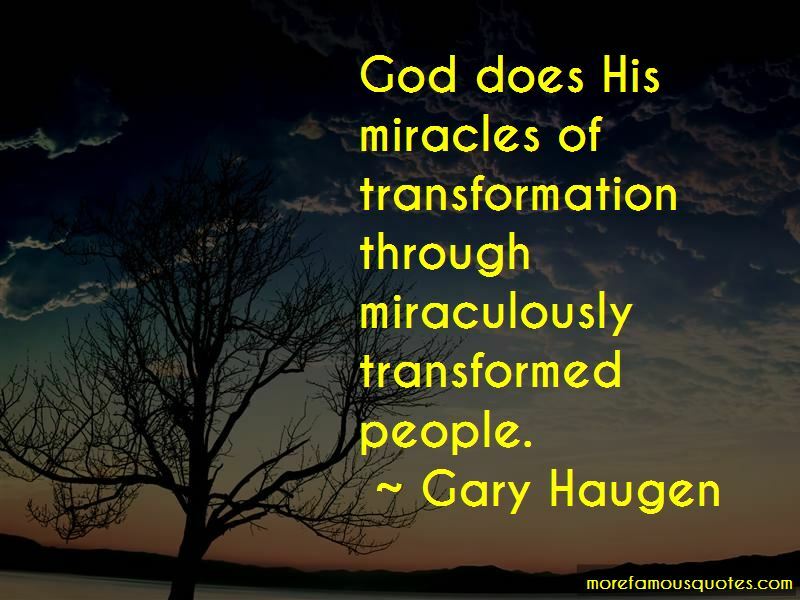 Want to see more pictures of God Do Miracles quotes? 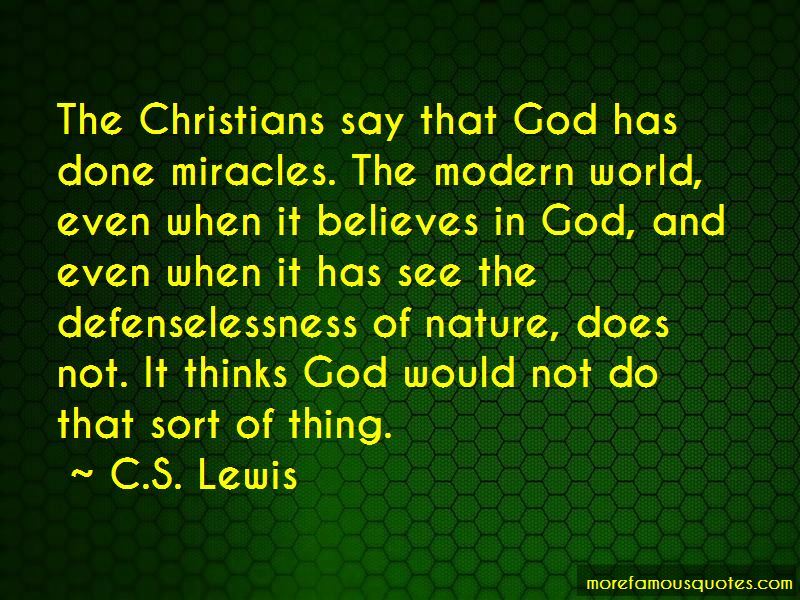 Click on image of God Do Miracles quotes to view full size.